1. New Firmware that updates the IPTV editing and enhances the picture of the IPTV channels. This includes adult IPTV channels. 2. Update version same as the first but without the adult channels. (Will send in separate email). Note: The new IPTV Channels can be loaded after this latest firmware update. All IPTV channel updates are to be loaded in the IPTV menu. You can now edit your channels through this section. *Note: Adobe Acrobat Reader or similar software must be installed to open. The DJ-1997 was named after Dave Johnson who passed on in 1997. Dave was a colleague of Mike Kohl, Jeff Schumann and Adrian Engle at Orbitron. We thought to honor his life’s accomplishments with naming of this receiver on behalf of his family. Dave was a kind, hard working person and a true advocate for the satellite industry. A proud American who raised a great family and built a wonderful home for them. He is truly missed! *Note: Please do a system reset before loading update file. 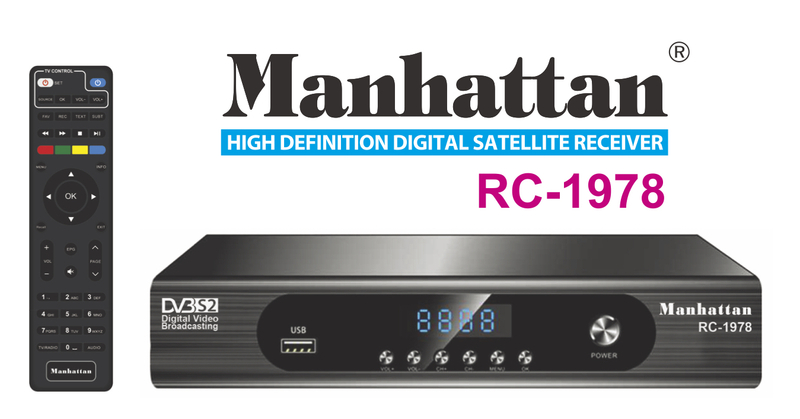 mouse right-click on link and select the option that says "download file as"
Manhattan-Digital is a manufacturer of cutting-edge media reception systems, supplying their products through a network of satellite reception professionals. Based near Madison, Wisconsin, it combines old fashioned Midwestern ethics and values with the high-tech world of satellite reception. It has joined together a small team of longtime satellite industry veterans to re-energize the market with the synergies of free and subscription satellite reception, local off air digital TV, and with future deployment of internet media delivery with one consumer set-top box. We will market system components through enlightened satellite dealers that see a better way to deliver entertainment to America. Click on their logos to the right or locate a dealer near you in the sales section of the website. © Manhattan-Digital 2010 - 2017.